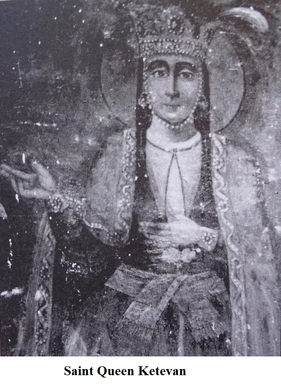 The journey towards the Ketevan World Sacred Music Festival begins with the birth of an idea to promote peaceful coexistence, an ambitious project spearheaded by Professor Santiago Lusardi Girelli who has been part of the Visiting Research Professor Programme of the Anthony Gonsalves Chair in Western Music for the last two years. ‘Last year we had some collaborations with a sitar player, a table player, a bansuri player, an Indian singer. So from those experiences I thought we should try to build a full festival of sacred worship,’ says Prof Girelli of his motivation to bring different traditions and religious music together under one standard. It started with initial discussions about the venture with Goa University, some members of the Goa University Choir and Rudolf Ludwig Kammermeier, who partners with Prof Girelli in his work in Goa. Later the project was broached with the Church in Goa, the Archaeological Survey of India, some European universities, the Government of Goa, and the Entertainment Society of Goa to deliver it to a state of fruition. The laborious task of seeking permissions and gathering funds started last year, with the bigger institutions focusing on providing accommodation to host the musicians, and venues for various programmes related to the festival. Funds from abroad, such as from the University of Seville, are being used to sponsor international musical artists. The festival’s concerts will be held at three different locations: The ruins of the Church of St Augustine and Nunnery of St Monica, the Christian Museum and the Church of Our Lady of the Rosary. The third is yet to be confirmed and the main area for concerts will be the ruins of St Augustine Church. 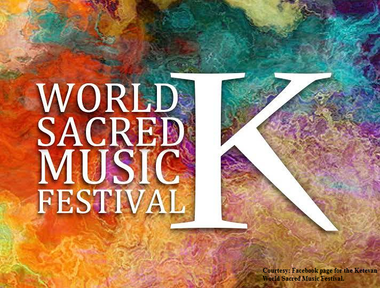 The Ketevan World Sacred Music Festival will have two weekends of concerts on the 12th, 13th, and 14th, and 19th, 20th and 21st February. On the week days there will be other programmes. Around 45-50 European musicians are expected to play at the festival and four Indian maestros, including flautist Rakesh Chaurasia, slide guitar player Debashish Bhattacharya , and Utsav Lal who plays Indian classical music on the piano. ‘We are still waiting for confirmation from an Indian singer called Aruna Sairam of the Carnatic tradition,’ informs Prof Girelli. Apart from these musicians there will be concerts by Professor Marialena Fernandes (pianist), the Bombay Chamber Orchestra, the Seville Chamber Choir, the Goa University Choir and others. In addition, Jewish Sephardic music is part of the festival programme. Representative of the motto of the festival, which is A Musical Experience of Coexistence, there will be some fusion concerts bringing together Western and Eastern traditions. In the case of Ustad Chote and Ignacio Lusardi Monteverde, Indian classical music and flamenco will be synthesised. A symposium sponsored by Goa University, the Anthony Gonsalves Chair in Western Music, and the University of Seville, will be conducted with three days (16th to 19th of February) of lectures and conferences at Goa University and Central Library, Panjim . There will be participation from professors within and outside India. Discussions will be convened on Christian sacred music and Goan sacred music on one day and other Indian sacred music, which could be related to the sacred traditions in Goa, on the second day. The third day will have a round table discussion between lecturers of the first and second day. Another three day programme will be the Ketevan Music Academy in association with Kala Academy, where Goan and Indian students will be able to attend masterclasses and workshops involving varied musical instruments, singing in Western and Indian classical traditions and choir and orchestra conducting, etc. The Ketevan World Sacred Music Festival promises to be a recurring event which will perhaps draw international attention and put Goa in the spotlight as a beacon of multiculturalism and religious harmony. The effects of the festival can be seen even now with the Church in Goa dispensing permission for Sufi, Jewish music and music from Hindu traditions to be performed in Old Goa. The idea of using the universal language of music to reach out to people, and evoke a sense of togetherness in a country of diverse cultures comes as a form of respite from the everyday strife encountered in a world torn apart on the basis of religion and race. Let us endeavour to learn lessons in peace through the Ketevan World Sacred Music Festival.